For all those PlayStation gamers out there considering Sony’s all-you-can-play game streaming service for the PS4 and PC here’s another reason to potentially check out PlayStation Now: Classic PS2 games. Sony this morning released a selection of PS2 Classics titles on service which now includes Ape Escape 2, Dark Cloud 2, Hot Shots Tennis, Limbo, Metal Slug 3 and others. Most if not all of these new PS Now titles were actually re-released as PS4 downloads too recently, so they run in HD and also have Trophy support. 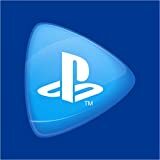 There’s also apparently over 650 titles on PlayStation Now these days and a 7 day free trial for those who have never tried it out before. Head on over to the PS Blog for the announcement or check out the new titles if you subscribe to the service beginning today.